CAPS United coach Lloyd Chitembwe says he is yet to make up his mind on the future of truant midfielder Denver Mukamba. 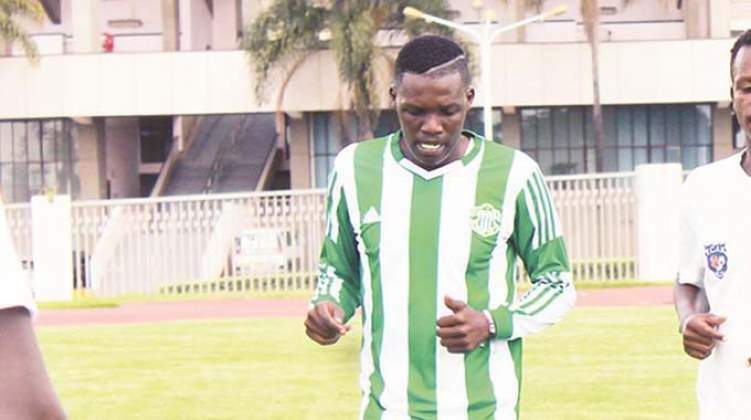 Mukamba has not been attending training for almost a month as he continues to play truancy after joining the Green Machine on loan from Dynamos. And with the transfer window opening on July 1, speculation has been rife that the club hierarchy might dispense with the troublesome player as they seek to strengthen their squad in the second half of the season. However, it appears Chitembwe is undecided on whether to risk and dispense with the talented, but indisciplined midfielder. "The issue of overhauling the team will be addressed during the transfer window which opens on July 1. That is what the transfer window is meant to serve. We will use that period to address all the questions in the team. As for Denver, I haven't made up my mind. I can only state a position after I have met with him. I will be meeting with him soon, only then can I be in a position to know how we will plan," Chitembwe said yesterday. With Praise Tonha reportedly unsettled at the Green Machine where he has struggled to hold down a starting place in the team, he is expected to leave during the transfer window together with Nigerian striker Abasarim Chidiebere, and Oscar Machapa who have also struggled to impose themselves. But the biggest question that confronts Chitembwe as he prepares to mount a serious challenge on the championship in the second half of the season is should he continue to allow Mukamba's sideshows that have distracting potential? Whatever decision he is going to make on the 2012 Soccer Star of the Year, it will be a gamble. Mukamba might not have made an impact since joining the Green Machine, but on any time he can impose himself on the game. Caps United chief executive Cuthbert Chitima said he will be meeting with his technical team this week after which he would be in a position to know how they would conduct their transfer business. "Our position will only be clear after we have met with the technical team to find whether they want to add or release some players. It is only the technical team that can guide with respect to that," Chitima said. The Green Machine are in fourth place and 15 points off the pace on the league table after 17 matches. FC Platinum lead the standings with 44 points, while Ngezi Platinum are second with 38 points with Bulawayo side Chicken Inn in third with 30 points. Caps United technical director Nelson Matongerere has said they will be looking to cover lost ground in the second half of the season.